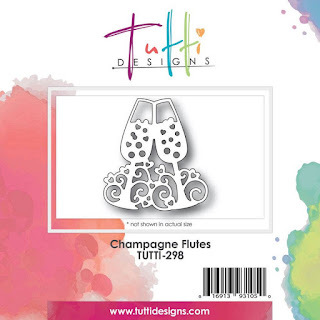 Tutti Designs: On your Wedding Day with Champagne Flutes. 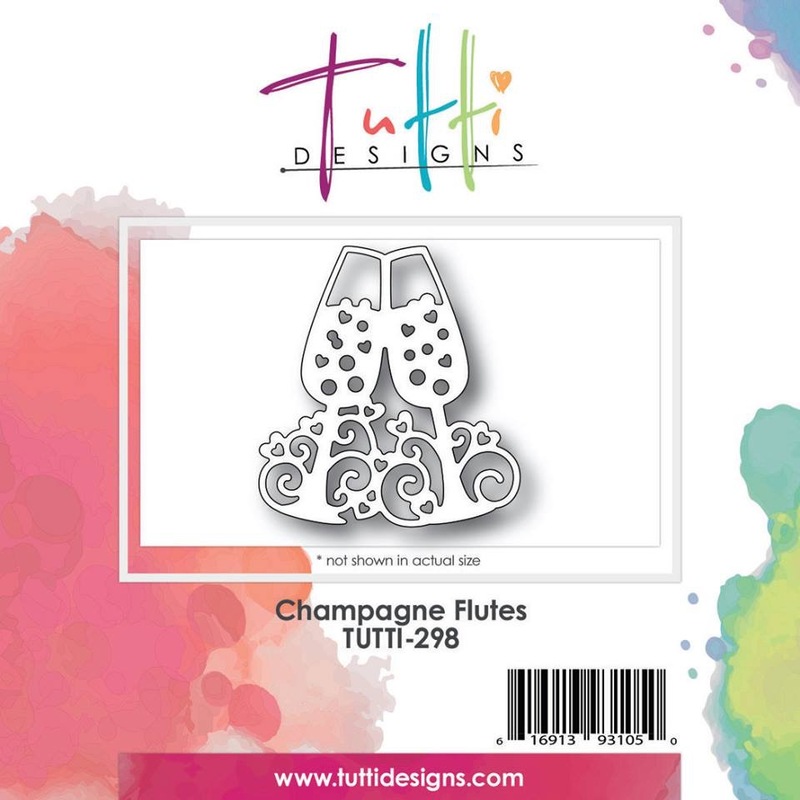 Today is from this months new release Champagne Flutes , TUTTI-298. 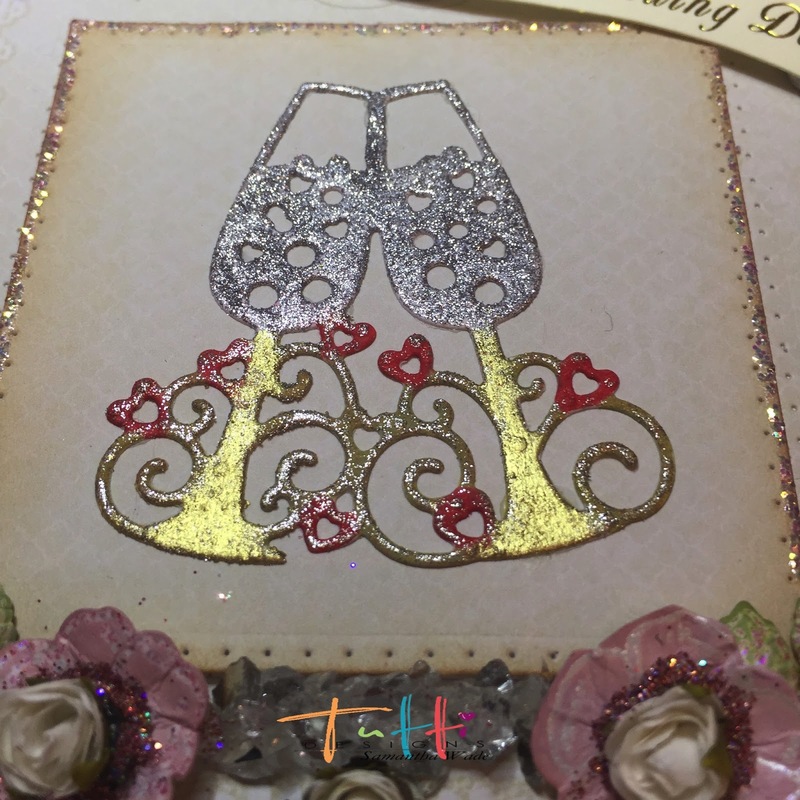 The flutes have been cut from white card and coloured the hearts red, the stems gold and silver glitter kiss to the glasses. 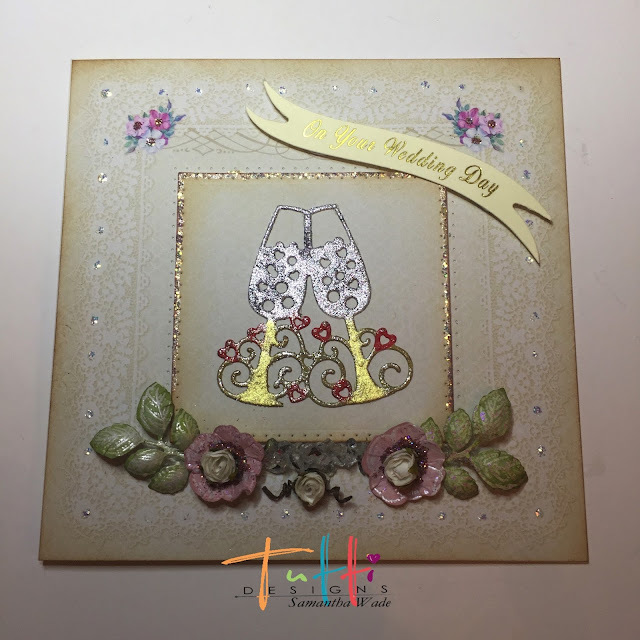 A pretty paper has been used for the background, with the centre die cut with a square die, them 3D with foam. 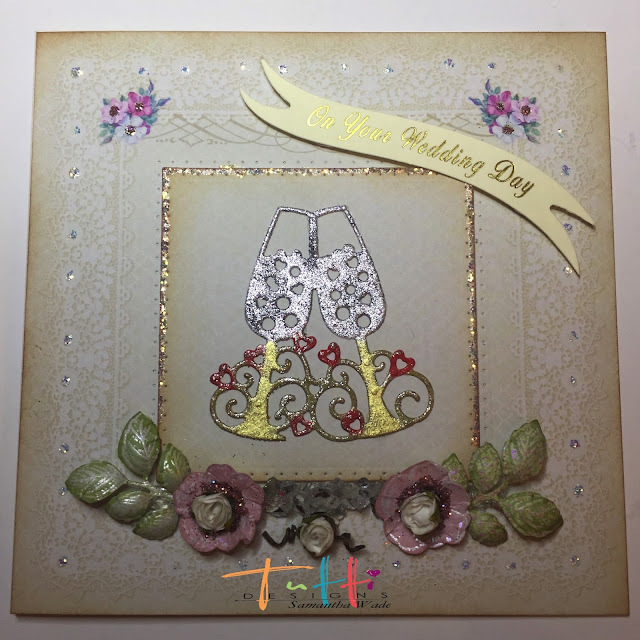 Glue the flutes to the square. Add some flowers and the sentiment and stickles glitter glue to finish. These glasses are so versatile and could be used for wedding, engagement , and special birthdays. 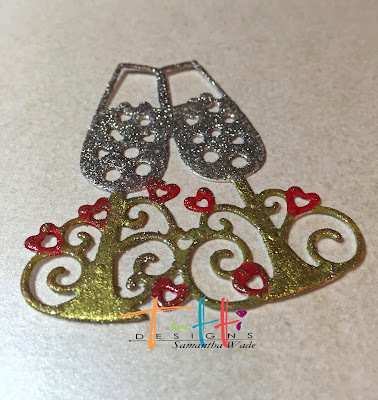 Absolutely BEAUTIFUL creation Samantha! You've certainly brought these champagne flutes to life with their beautiful color! 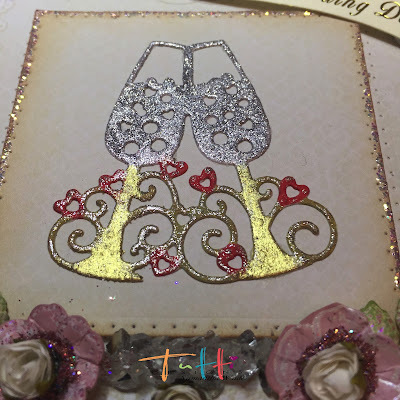 GREAT job and awesome inspiration!